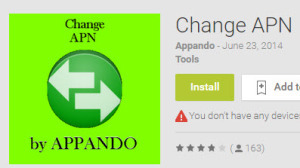 APN changer – How to change the APN Settings on your phone. 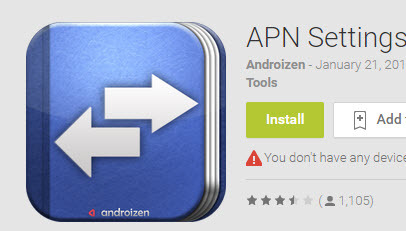 Are you looking for a way to change the APN settings on your smartphone? Here we are going to show you different ways you can use to change the apn settings, either you have an iPhone or android based phone (Motorola, Samsung, lg, htc, etc. ), it’s pretty easy to change the settings on them, of course without breaking your phone! There are also some applications which you can load, the so called APN changer which somehow help you manage and organize different apn profiles, depending the location you are, you might need different settings to get the mobile internet connected properly , and this is something the APN changer can do for you. Apn Settings by Adroizen, this application tries to give you access to the list of most common APN value sin the world, you can also search by operator name. APN Settings Shortcut by Saikoro. This is another app that creates a shortcut on your homescreen to have a quick access to the apn menu. APN changer, how to manually change the apn settings on my phone? If you are travelling abroad, and somehow the data settings is not working, then you will need to update your apn settings with the corresponding network operator you are using. Before you proceed, please make sure the following criteria are met. Your Phone must be unlocked, in order to use a SIM which is different from your original one, the phone has be unlocked, otherwise it will not register in the network, and you cannot do much about it. You do have a Valid data plan. Not all companies offer data plan as default, instead, they usually are charge extra, so being able to make phone calls and send text messages doesn’t mean you can connect to the internet using your mobile phone. The Data is switched on. You must have the data switch on in your phone in order to be able to connect to the mobile internet. If the above points are all met, then depending on then phone you have, the route to access the apn settings are different. Personally we prefer to do it manually rather than using an apn changer to update the settings on the phone. For Android phones, go to Settings, More, Mobile networks, then you will see access points menu. As a good practice, we do recommend deleting all existing APN’s and then creating new a one. Sometimes editing the APN can create conflicts.